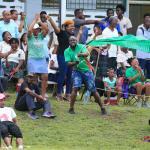 Pleasantville Secondary and Signal Hill Secondary will face off in the 2018 National Girls Intercol Final on Tuesday 4 December with more than silverware on their minds. The match, which kicks off at 3pm at the Ato Boldon Stadium, looks set be an emotionally trying one with both teams eager to lift the trophy in tribute to loved ones who have passed away. 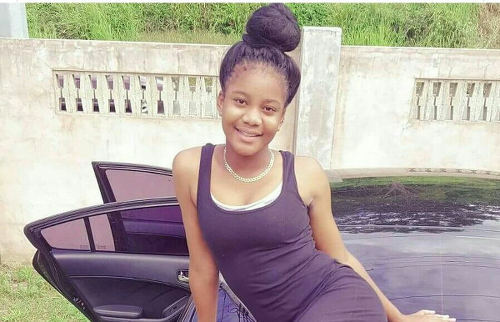 Photo: Former Trinidad and Tobago National U-15 player Abiela Adams, was found murdered on Saturday 11 February 2017. 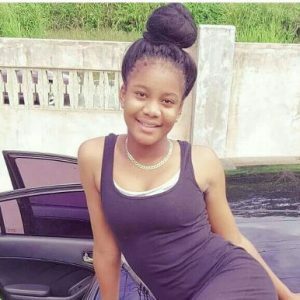 Abiela Adams, a former Trinidad and Tobago National Under-15 player, was discovered in Courland on 11 February 2017 with her throat slit. Gone but not forgotten. 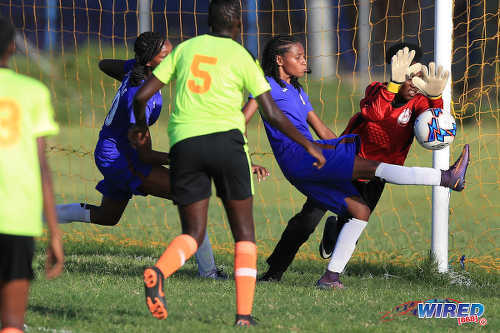 Her Signal Hill teammates hope to honour her tomorrow as they try to create and avenge their 2-0 loss to Pleasantville in the 2018 Girls National Big Five final at the same time..
Mitchell thinks the Signal Hill ladies have learnt their lesson from Pleasantville. “We concerned about three players,” said Mitchell. “It’s going to be tough for us but we saw them in the Big Five Finals and they have [Latifha] Pascall in the defence, the midfielder Jasandra ‘Mama’ Joseph and the striker, number nine [Alexcia] Ali. Ali, a former Penal Secondary star, might have something to say about those predictions though. 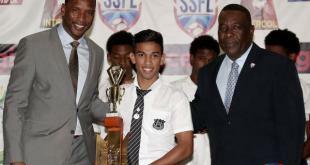 The silky attacker has scored goals by the bucket load this season—including the game winner against Signal Hill in the Big Five Finals, which condemned the Tobago outfit their solitary loss this season. Photo: Pleasantville Secondary forward Alexcia Ali (second from right) tries to beat Signal Hill Secondary goalkeeper Aaliyah Alvarez (far right) from close range during National Big 5 final action at Plymouth on 4 November 2018. 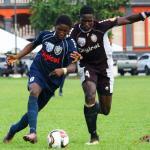 Pleasantville head coach Joel Maloney feels his midfield talisman Jasandra ‘Mama’ Joseph can be key tomorrow. “Well this year the girls really want it,” said Maloney, “and especially as this year is Jasandra’s last year playing school football [and] the girls really want to bring home the title[for her]. 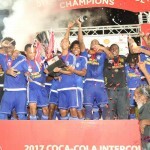 “Signal Hill’s strength is their winger Jelese [Alexander] and their forward [Celine Loraine] so once we can stop those two players, because that’s what we did in the Big 5 Finals, we concentrated on those two players and we won the game. The thirst for historic title glory for their beloved playmaker, ‘Mama’, might drive them forward in the finals. But the ‘P-ville’ players also want to bring a smile to their coach’s face as he mourns the recent loss of his father. 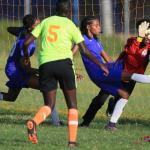 There will be more than silverware at stake at kickoff in the Girls Intercol final tomorrow. 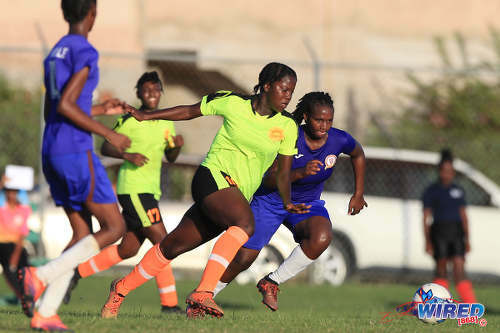 Photo: Signal Hill Secondary attacker Gamelia Waldron (centre) tries to initiate an offensive move while Pleasantville Secondary playmaker Jasandra Joseph (right) keeps a close watch during National Big 5 final action at Plymouth on 4 November 2018. 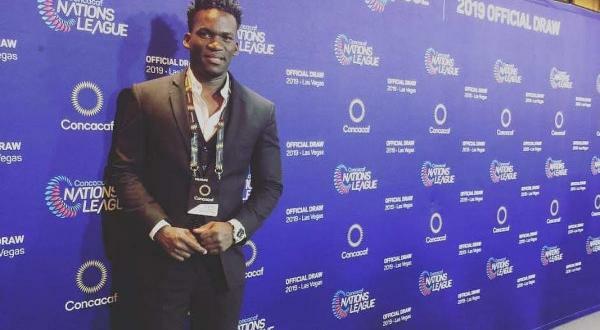 Amiel Mohammed is a sports enthusiast and has worked in communications for Central FC and the Women's Premier League TT. He has also pioneered numerous projects geared towards creating opportunities for the differently abled such as the Differently-Abled Football Camp 2015 and Focus Football Coaching Academy.